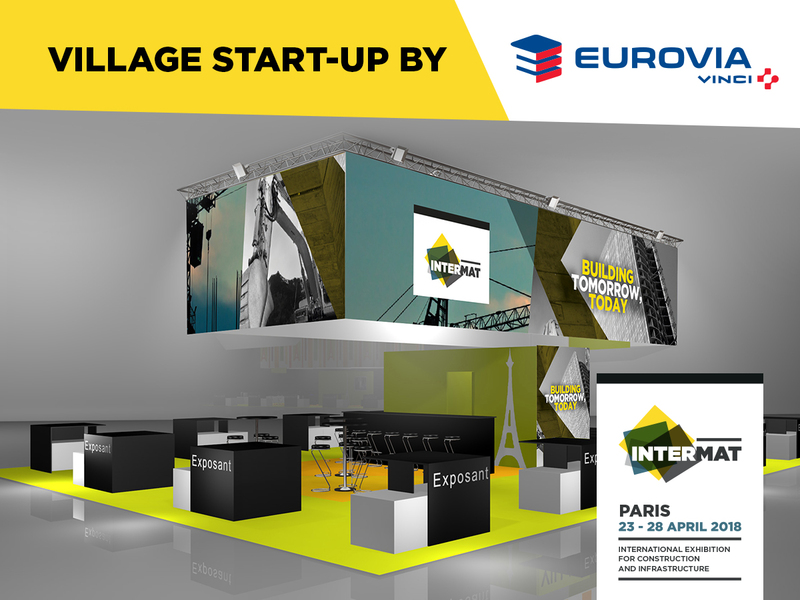 The participation in the INTERMAT INNOVATION AWARDS : One product solution entered in the INTERMAT INNOVATION AWARDS - in the category Start-up Award by Eurovia, The Winner will win the following prize : free participation at PRE-INTERMAT on 18 & 19 January 2018. Which has already raised capital or generated turnover. 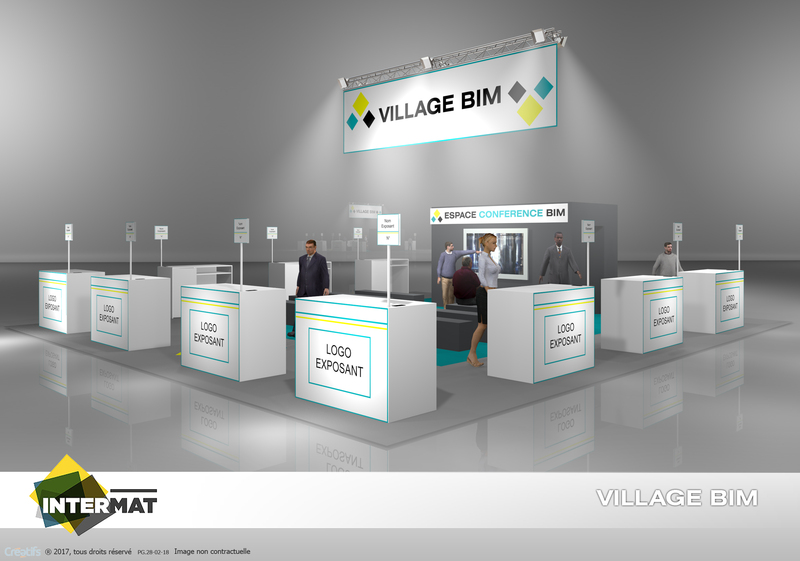 The Building Smart BIM Village at INTERMAT Paris 2018, will be located at the heart of the "Building & Concrete Sector" hub in hall 6. It will bring together about twelve companies from the Building Smart BIM field, together with a discussion and exchange area for talks, round tables, etc. buildingSMART France – Mediaconstruct an association created in 1989, brings together all professionals in construction, building and infrastructure, exploitation, throughout the life cycle. Its missions: standardization, repository definition, guides et tools for the BIM appropriation. bS France - Mediaconstruct, regionally present, is also since 1996, the French representative of buildingSMART international. Download Village Record Building Smart. 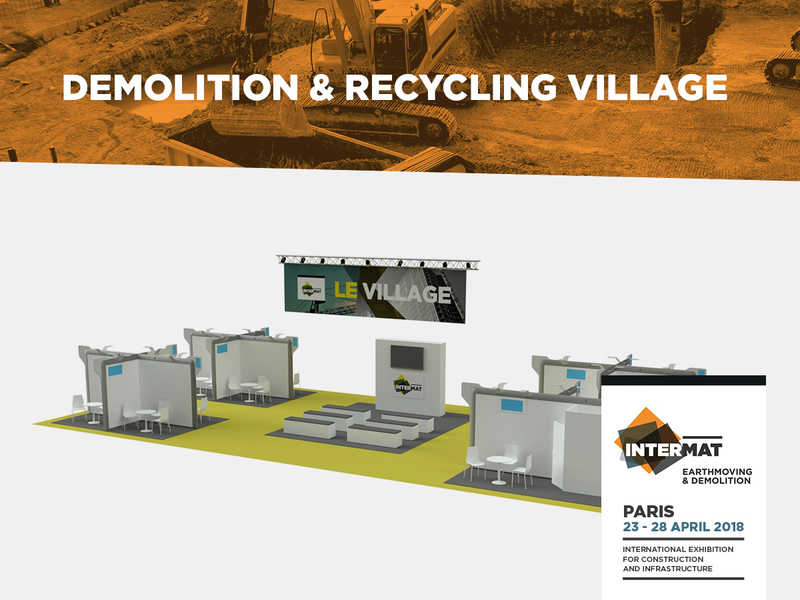 The Demolition & Recycling Village at INTERMAT Paris 2018, will be located at the heart of the Earthmoving and Demolition hub in hall 4. It will bring together companies from the demolition sector, together with a discussion and exchange area for talks, round tables, etc. Download Village Record Demolition & Recycling. Take advantage of the unique opportunity to give a speech on one of these two villages, thanks to the exhibitor workshops. Theses workshops give you the means to increase the visibility of your products, services or to present your innovations to visitors of the show.